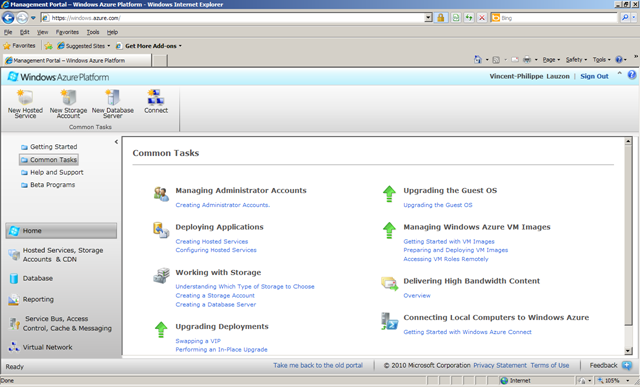 All-in-one easy to use Windows Azure Control Panel. Entirely made of Silverlight, it’s like using a Windows Application. The new design is also much more ergonomic, making it very easy to find features, as opposed to the old version, which was all over the place.